Conventional approaches to treating diabetes include diet and medication to control insulin and blood sugar levels. Unfortunately, medication comes with side effects such as blindness, loss of limbs, heart disease, stroke, and kidney disease – all of which are costly in their own right. An alternative is a holistic approach such as that of Robert O. Young, PhD, known for his work establishing the importance of a healthy pH balance for diabetes treatment. In his approach to diabetes Dr. Young suggests it is not so much a disease of the cells as it is a condition created by the environment of the cells. His conclusions are based on a study of participants in his program, designed to improve pH balance through emphasis on alkalizing foods, exercise and use of supplements beneficial for diabetes. Alkalizing foods include most vegetables, certain fruits such as lemons, grapefruits, tomatoes and avocados, some nuts, especially almonds, and green tea. Acid foods, on the other hand include sugar, alcohol, coffee and wheat flour products as well as most protein sources such as meat and dairy. Everyone, who stayed with Dr. Young’s program for a full three months, either enjoyed a significant reduction in their need for insulin or were able to discontinue it all together. Many also lost weight and had lower blood pressure and cholesterol. Other holistic solutions for diabetes include adaptogenic herbs such as Tulsi or holy basil. Tulsi, which is highly valued in India, is used by Ayurvedic practitioners for many conditions including diabetes. Its use has been validated by studies; in one 40 individuals with non-insulin dependent diabetes took 2.5 grams of dried tulsi powder every morning. The result was significantly lower blood sugar both first thing in the morning and after meals. Tulsi also helped lower cholesterol levels. 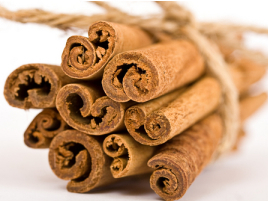 Cinnamon is yet another herb which has many applications and is effective for diabetes. A recent study in Pakistan followed 30 individuals who took cinnamon for 40 days. At the end of this time tests showed significant reductions in blood sugar, triglycerides and cholesterol. About the author:Celeste Smucker is a writer, editor and author of a book of inspirational messages available atwww.soldonme.com. She has a longstanding interest in health care and alternative health solutions and is a student of effective online marketing techniques.